Interview: Malcolm Walker CBE, Iceland | How Did They Do It? In February 1971, Iceland became Malcolm’s full-time occupation after his employer, Woolworths, discovered he and his business partner were operating a frozen food business “on the side”. Malcolm and another trainee from Woolworths had started a small business of their own in the previous year. In January 2009, Woolworths Group went into liquidation and two months later Malcolm’s frozen foods venture reported record sales of just over £2 billion. It’s an extraordinary journey for the former Woolies employee who started out sweeping the floor and weighing potatoes in the stock room. Today he is thought to be worth in the region of £215 million. Malcolm attributes part of his success to a compulsion to achieve and to make money that was evident from a very early age. As a teenager he organised local discos for his neighbourhood in rural Yorkshire. Iceland, a business which today boasts over 800 stores and 25,000 employees, was started with only £30 of his own money. The profits from his first week of trade were jotted on the back of an envelope, £370, no mean feat for a startup business in 1971. The costs to cover property and equipment rental were all covered by the sales just a few months after the first shop opened in Oswestry, Shropshire. Iceland achieved growth every year for 30 years and increased its profits in all but one of the years under his leadership. In 2001, the business entered a difficult patch when Malcolm was removed following a merger with the Booker Group. 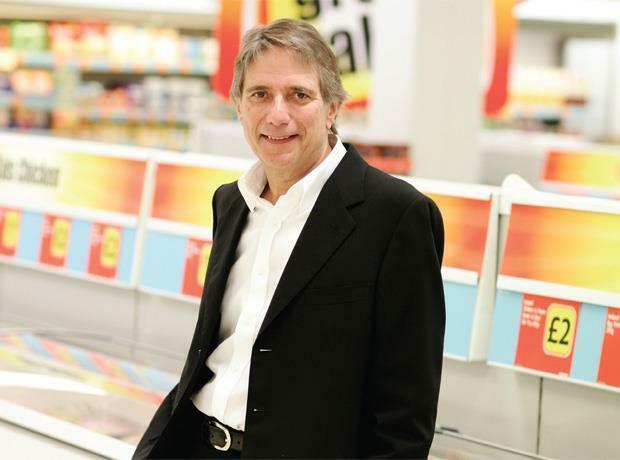 The merger had made Iceland-Booker one of the biggest food buyers in Europe but under new management, the casual ethos that had served the business so well was abandoned and replaced with a level of corporate orthodoxy that did not suit the company. Iceland suffered from a series of profit warnings and its share price plummeted. The company languished for four years before Malcolm returned in 2005. Within a year Iceland was achieving profits once more. Iceland’s size could lead you to assume that it’s run in the manner of a similarly sized company but it’s managed more in the style of a family business than a corporate giant. It is, in Malcolm’s words a “simple business” that heavily invests in its workforce. Iceland is routinely in the lists of the best companies to work for, often winning them. Malcolm is proud of his company’s record of employee satisfaction as well as its considerable charitable contributions. In 2011 he climbed the North Col of Everest and successfully abseiled 310 metres down the Shard in London in 2012. Could you describe how your entrepreneurial instincts developed while you were working at Woolworths? Well, can you learn to be an entrepreneur? Or is it there? We had nothing going on in the village where I grew up so to break the boredom I organised a dance in the church hall and then I ended up organising a series of dances, booking the church hall and hiring a band. I didn’t do very well at school and failed to get into Marks & Spencer, Littlewoods and John Lewis, but Woolworths would take anybody. Their training programme was on the job, you started at the bottom in the stock room sweeping the floor and hoped to become directors. Everyone apart from lawyers and accountants had started out sweeping the floor. It was hugely long hours, six or seven days a week and they moved you around the country. It was all about perseverance and the dropout rate was enormous. One of the things I had to do was weigh seed potatoes in the stock room. If there were too many I would take some of them home to our smallholding, plant them, and then sell them on to the canteen at Woolies. What I am trying to say to you is there is an inherent desire to do things and to make money I suppose. And it wasn’t a desire that could be fulfilled in the stock room at Woolies. Seven years later, I was still in Woolies, and I hadn’t done very well, I hated my job and I still hadn’t become a manager. One day I was out with a friend of mine who also worked there and we saw a strawberry seller on the side of the road packing up and on some impulse we bought his strawberries. The next morning we went to a local beauty spot, sold the strawberries, and went to the pub to spend the money. That made us consider whether we should be trying other things. We tried out a few more ideas which didn’t really work but then we decided to open a shop. We had absolutely no money so we couldn’t open a shop that required a lot of stock, like a shoe shop, it would have cost a fortune. I had seen loose frozen foods for sale in a department store but in 1970 nobody had a freezer, not in the north of England anyway. Supermarkets only had small fridges with Birdseye in them. This shop I found had catering packs of peas, burgers and fish fingers, all tipped into plastic washing up bowls at the bottom of a freezer and sold them by the shovel full. So we decided to copy that. We started this shop, putting down £60 in advance of a months rent and that was the only money we ever put into the business. We got two fridges, a cash register and a scale on hire-purchase, without having to pay a deposit. We found a local frozen food supplier who gave us credit for a week, which was then stretched to a month, so we were able to open the shop for £60. I couldn’t get any time off work so I went sick for three days and my partner had three days holiday. We opened the shop and then at the end of the week we went to Woolies and carried on. Woolies found out about three months later and they fired us. How were you able to start the business with so little money? We found to our surprise that we had discovered something called positive cash-flow. We only needed £60 to set it up and we had a month’s sales in the bank before we had to pay anybody. Every time we opened a shop our bank balance went up until we started spending more money on fitting out the shops and getting a bit posher. It’s been incredibly easy because in the first 12 months we opened four shops and over the next three-or-four years we opened 20-odd loose frozen food shops which gradually got bigger and bigger as we started introducing packeted products. Without realising it we turned into a different business. We stopped doing the loose food. By this time people were buying freezers to put in the garage and they were buying frozen food in bulk. Iceland showed an impressive rate of growth in the 1970s and 1980s but the retail market proved to be more hostile in the 1990s, what did you do to try to differentiate the business from some of its rivals on the high street? We increased our profits every day from the day I started in 1970 to 1996 and we had our first ever profit set back then. It wasn’t significant, we went from £73 to £56 million net profit but by this time we were a public company and of course the world collapsed, our share price collapsed and our market capitalisation went from £800 million to £140 million, yet we were making £120 million if you added our profit and depreciation together. So it was a complete overreaction as far as the market was concerned but they just saw that blip in profits as the beginning of the end. The City couldn’t understand why we existed and felt we had past our sell-by date. The reason why we had that first profit dip is, frankly, we went to sleep. We got a bit complacent and we got fat and lazy. I had gone to sleep but I woke up and fired 60 per cent of our senior management, 60 per cent of our board of directors and got going again. We introduced a number of innovations like home delivery and we got the company growing again. But by 1998-99, we had become a bit too big and a bit too democratic. I was probably getting tired and we were losing focus. There were too many committees and too much bureaucracy and we did lose our way. I was just looking forward to retiring, which was the prime motivation for our takeover of Booker. It was supposed to give me a new managing director called Stuart Rose. After the merger we went from having sales of £2 billion to £5 billion because Booker had £3 billion. You might wonder where the synergy was in combining Iceland with Booker and on the face of it there was none except buying power behind the scenes. Iceland-Booker became the largest buyer of Coca-Cola in Europe. There were great synergies but Stuart Rose had only done the deal so that he could make an exit. He jumped ship just three months before I retired which I was a bit pissed off about. So I recruited this new guy called Bill Grimsey who did a lot to change the business but not in the right way. He put out a profit warning which was completely fictitious. For the next four years it should have been dead easy. But it turned out to be a disaster. What went wrong? Our management style is a bit chaotic, I describe myself as a cowboy. We run the business on the hoof and Grimsey was into corporate procedure and nothing ever got done. In the four years he was here we lost 25% of our sales, profits became negative and when we came back into the business four years later it had a £300 million bank overdraft. I came back with some investment people and took the company private. We sold off Booker, sold off Woodwards and sold off a few properties. I didn’t really know if it would be possible to turn the company around. One of the primary reasons why I came back was to get my hands on the books and see what had been going on and try to vindicate myself. I had only been back in the business for about three days before I realised it was going to be a complete piece of piss to sort it out because every single part of the business had been comprehensively screwed up. Our five year plan was really a handful of phrases: focus, simplicity and accept reality. It seems to be a triumph of intuition over corporate orthodoxy. Absolutely, I’m not suggesting our management style would run a big complicated company but it works for our business. We had to make lots of changes but now we have the best management team we’ve had in many years. You’ve talked about the business being “run on the hoof”, how does that work in practice? Is it a case of dealing with things as they come along? Yes no one can predict the future, you can have a five year plan but it’s out of date as soon as you’ve done it. But you’ve got to have some sort of idea as to where you are going. We change our annual budget every week, we do it for the year but then it’s constantly evolving. I suppose intuition does come into it a lot and just keep everything simple. Iceland has been recognised for its positive corporate ethos, winning the Sunday Times Best Big Company to Work For award in 2012. What does the company do to foster its in-house culture? We’ve got 25,000 staff, most of them are women and most of them are part-time. We’re the second best payer on the high street. Can you believe that we pay better than Asda, Morrisons, John Lewis and Marks & Spencer? Still, £6.75 an hour is bugger all. One of the questions on the Best Big Company to Work For survey, which is totally anonymous, is “how do you rate your salary?” and we came number one on that, number two was Goldman Sachs. So our staff, at £6.75 an hour are more happy with their pay packet than people at Goldman Sachs, now how can that be? It’s because it isn’t just about the amount that you pay, it’s about buying into the job. When I came back in 2005 we were a minimum wage employer. Our managers were among one of the worst paid on the high street and people were leaving the company in droves. Half the light fittings weren’t working. What’s the first thing you do when you buy a second hand car? You clean it. So when we came back in we cleaned the shops, repainted them, got the chewing gum off the floor and put some pride back into the place. The staff could see things were changing. We simplified their workload and took away a lot of the paperwork that existed before, so they were more motivated and worked better and then we could start some of the pay increases. Our managers are now the best paid in the high street for the store that they’re running. Our store managers now earn £35-40,000 a year, our area managers will be on £65-70,000 with a car. It’s much harder to motivate your frontline staff who are on £6.75 an hour. Really, the pay isn’t even half of it, it’s the informality of the business and the fun you have in the business. Lots of businesses have fun as one of their keywords, well it might be fun for the bosses but not very much for the staff. We have a conference every year which is a massive jamboree for store managers and senior managers and each year it gets more and more ambitious. Three years ago we took a thousand managers to Disney World in Florida and we chartered three jumbo jets to take them. If you were a public company you would never be able to do that. We didn’t have to justify that to anybody. Do we spend that £4 million and spread it thin and give everyone a pay-rise or do we give them a trip of a lifetime which they have never experienced before and will talk about six months afterwards? Every year we are doing parties, and conferences, not just for managers but for store staff. Four times a year we have area meetings. We spend a lot of money on fun but every penny is an investment because happy staff means happy customers and happy customers means cash in the till, it’s as simple as that. I’m not altruistic, I’m doing it for financial reasons. I talk to other bosses about this and they half-nod in agreement but you could never really convince them. I would say that is 50 per cent of the reason for our success. Pingback: From Counting Potatoes to £2 billion in Sales – How Did Malcolm Walker Do It? | How Did They Do It?